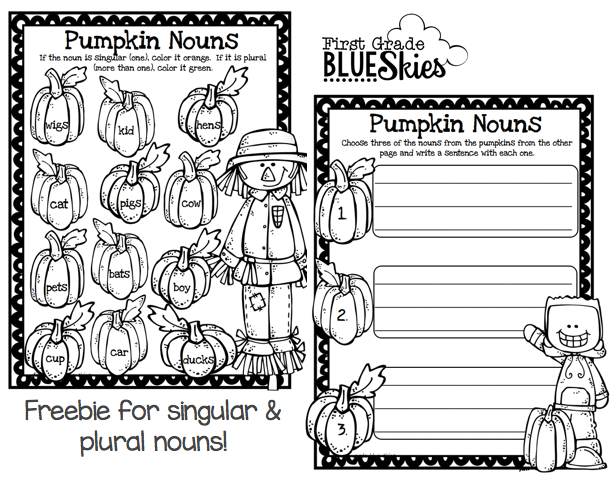 Fall is upon is and that means it’s time for some Teaching Trick & Treating! teaching tricks and special free treats for you! For your Trick of the trade, so to speak, I am sharing an oldie but goodie. 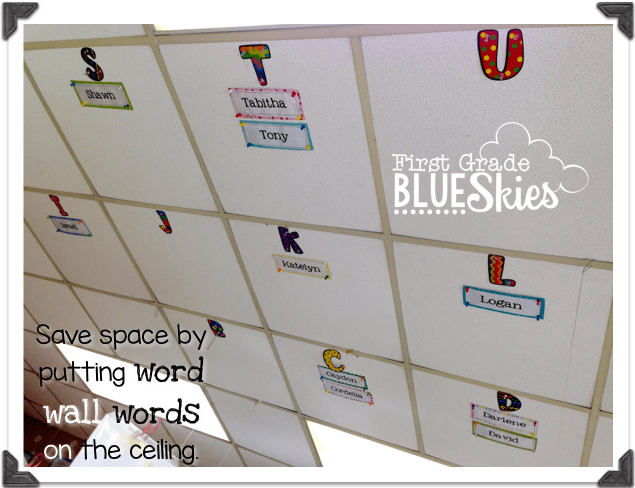 Word Wall on the ceiling when you have limited space. YES, I am aware that some areas are not able to do this because of fire marshal rules, etc…but it’s just a little tip in case you ARE allowed to use that space! Now I will say that these are not all the words we do during the year…and this picture is from the first of the year when I got my class list last year. I would add words to the ceiling monthly or weekly and my students also have mini-kid dictionaries at their tables where they record our sight words. They use these during writing more than the ceiling words. But I do find that they look up to spell words when they are writing and need a word quickly. 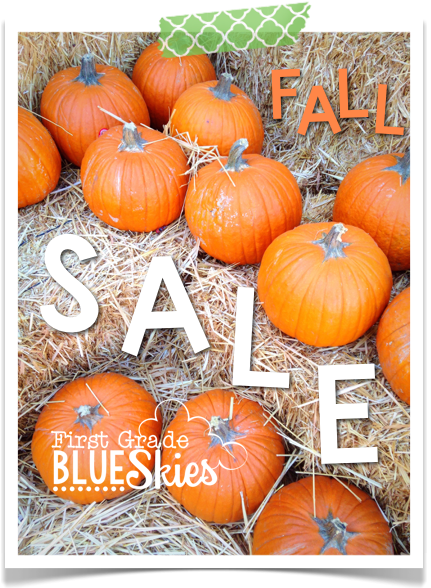 Don’t forget the sale that ends tonight!! 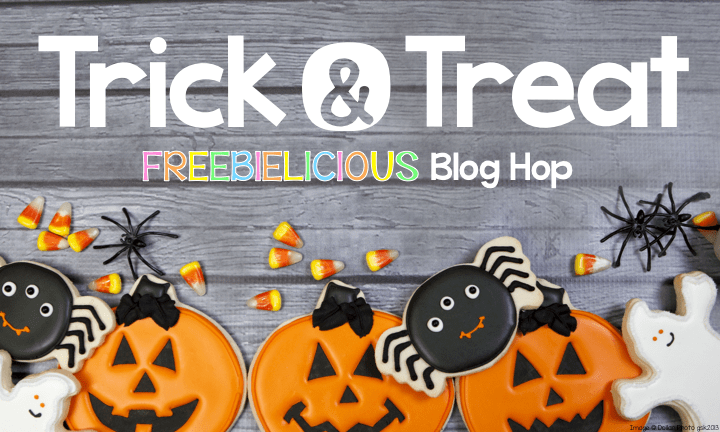 Hop along to the next Freebielicious friend to see what their Trick & Treat is! FUN! I love this idea!! I love that trick – a great idea where wall space is tight!